Can I Patent My Business? 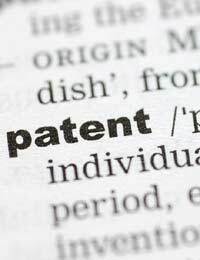 Home > Ask Our Experts > Can I Patent My Business? I'm trying to patent my business idea. Is that possible? Just in case it takes me a little time to get it up and running. There are generally two types of protection you can apply for when you start a business that is based on an idea or an invention. The first is copyright protection, the second being patent protection. The key thing to remember is that you can’t protect an idea, you can only protect the expression of that idea. So, for instance if you have come up with a new way of washing clothes without using water or detergent, you can’t copyright for patent the ‘idea’ - you have to express this in some way. If you create a document that explains your new process you can simply add the universal © copyright symbol to the title page plus the date to protect the contents of that document from being copied by anyone else. However, copyright tends to be used for creative works such as books, websites, magazines and the arts to protect the creators from having their work stolen or copied. Invention based businesses are better protected with a patent. You can also apply for what is called Design Rights. If your business has a product with a unique design, you can protect this by registering the design with the UK Intellectual Property Office (IPO) [www.ipo.gov.uk]. Don’t forget that this protection is only for the look of your product and not its function. If your product has any unique features, these will need to be protected with a patent. Your design rights last for 25 years from the date your application is accepted by the IPO. Using our example, if as part of your new way of washing clothes your business has invented a new form of washing machine, this invention can be protected with a patent. Unfortunately the process you have to go through to gain a patent is long and can be very expensive. You first have to make an application to the IPO. They will search their records for any other inventions that are similar. If they don’t find any, then they will grant your exclusive patent. Remember that your patent will only be valid for the UK. You can also apply for a European patent and separate patent in the USA if you will be selling your businesses goods to a global market. You can start to operate your business without a full patent being granted, but you do run the risk of your patent being rejected. How Can I Prevent a Customer Patenting Our Product? My Idea Uses Existing Devices: How Do I Develop It Further?